BMW owners are special people! If you own a BMW, you undoubtedly love your car. Your BMW is a significant investment, so when you need service or repair, you want to make sure the Technician that you choose is trustworthy and reliable. In order for the ownership experience to be premium, we are here to assure that we provide you with all of the expertise and information that all of our master technicians bring to the table. This information will assist you in making the right decision regarding which route to go when deciding on service or repair so you can make the most of your BMW. 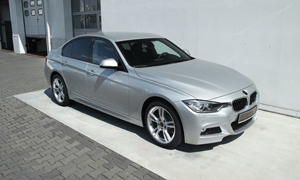 We recommend that you bring your BMW to our technician for a proper diagnosis. We are the experts in our field and will save you time and money from the start. Please feel free to contact us with any and all inquiries, or to schedule an appointment. Please contact us with any questions! At AutoImports of Denver, we work exclusively on all BMW models, new or old. With today’s technologically advanced vehicles, you need specialists to keep them operating at their best. Trust your BMW to AutoImports of Denver for your next scheduled service or repair.